America’s Cup challenger Stars + Stripes kicked-off their tryout process this week in Long Beach, California with the start of the team’s foiling camp, running from February 19-28. Following the team’s announcement of an open application process that began February 1st, Stars + Stripes sorted through an overwhelming number of athletes to compile an initial list of 25 potential candidates who were invited to participate in the February foiling camp. While the February foiling camp is now in session, the team stresses that they are still accepting applications to be considered for both the March foiling camp (running March 10-22) and the “Open Combine Tour” set to travel across the country later this spring. All applicants will be required to fill out an application form on the team website which includes details for a mandatory application video to be posted via Instagram or Facebook. 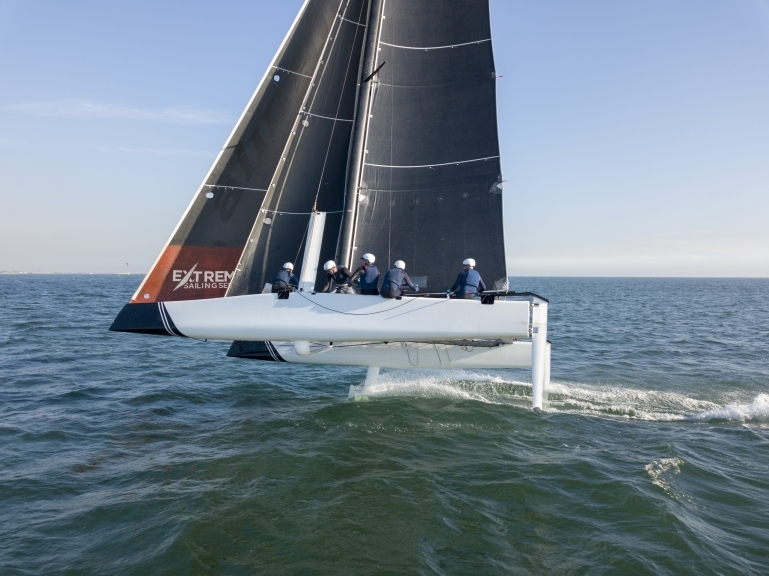 "We have been looking forward to this foiling camp for quite a long time and the number and quality of applicants is mind-blowing”, said Skipper and Co-founder Mike Buckley. The list of participants reads as a depth chart of the next wave of upcoming American athletic talent including professional sailors from both coasts, Volvo Ocean Race veterans, past-Olympic medalists and Olympic hopefuls, and globally ranked cross-fit competitors amongst others. “It is remarkable to see the level of dedication and drive all these athletes have to be part of Stars + Stripes and be part of the team trying to bring the America’s Cup back home to America”, said Helmsman and Co-founder Taylor Canfield.